First off, I'd like to apologize for the unplanned hiatus. I've had a helluva couple months here lately, after my trip to North Carolina, but I'm back now and I've got lots of posts in the works! 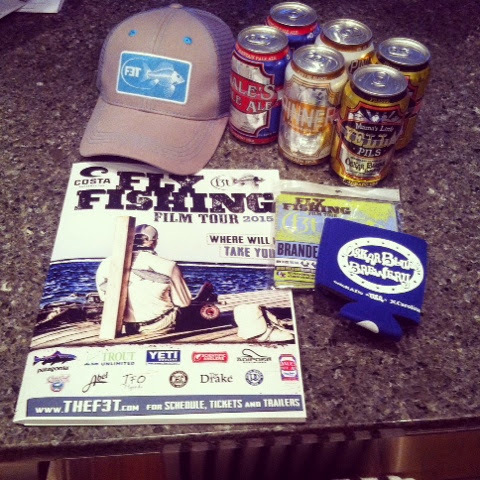 The guys at F3T sent me a media pack and tickets to attend their film showing down at the Buckhead Theatre. After watching the preview DVD (and enjoying all the beer they sent!) I was really excited to attend the show. The show has a long list of sponsors and the presenters do some pretty awesome giveaways during the intermission. They even truck in beer from Oskar Blues Brewery, so, naturally, I got myself a Dale's Pale Ale to enjoy during the show. I've got to say, I was really quite shocked to be one of the first people in attendance. I like to get to shows like this early, to ensure I get a good seat, but it seemed like the theater didn't really fill up until after the show started. There were several empty seats around me until well after the films started. 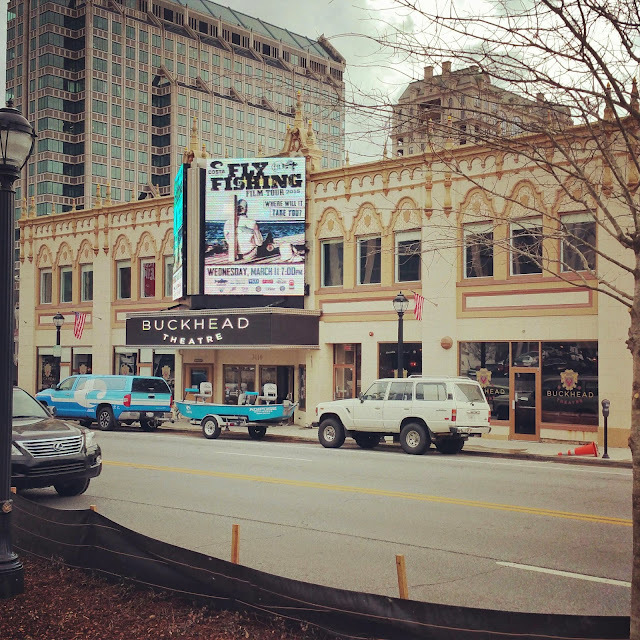 Perhaps because it was a Wednesday night in Buckhead and the after work traffic was awful as usual. The other thing that surprised me was the lack of energy in the audience. I mean, come on Atlanta, we can do better! The response from the audience just seemed lackluster at best and I felt that the F3T guys deserved better than that. I hope the Cartersville audience in April is a lot more lively!!! Now, as for the films, they were really amazing! 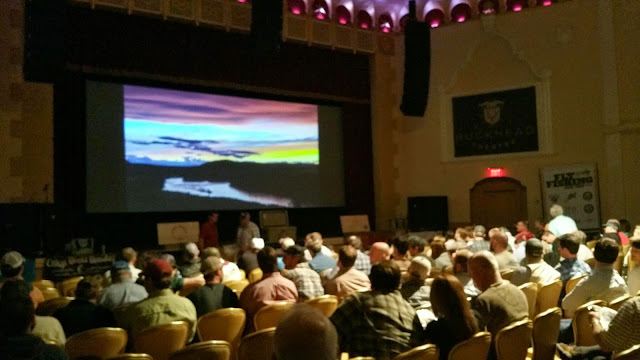 Each film gave a look into some facet of fly fishing around the world. All of the short films shown this year were exciting or thought provoking to watch and absolutely worth checking out. The three that I seemed to enjoy the most were 90 Miles, a film that discussed the relationship between the US and Cuba and moving forward in cooperation for fishing and conservation; Yow: Icelandic for Yes, was a stunning film that introduces a pioneer of surfing in Iceland spending time both surfing and fly fishing in some incredibly scenic places. Iceland was on my travel wish list before, but I think it moved up a couple notches after seeing the film! And Mongolia, this film was an introduction for me for fly fishing in Mongolia for the world's largest trout species, the Taiman, and the innovators and guides who are trying to save the Taiman by attracting fishing tourism dollars to their corner of the world. If you've got a Fly Fishing Film Tour coming to your neck of the woods, I definitely recommend you check it out. It makes for a great evening out with awesome giveaways and good beer! If you can't make it to one of the shows, check out the F3T website. They've got trailers for all of the year's films on the site. I hope you're all doing well, and now that winter is over in most of the country, you're getting out and catching some fish.